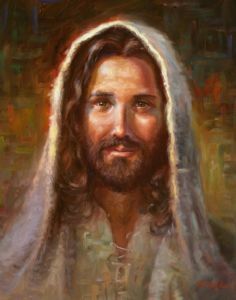 From his desire to depict the "Faithful Friend" he knows, Mark Keathley painted this portrait of Jesus with a kind look in his eye and a smile on his face -- the loving look one would see if they were really cared for. In a day when we rarely slow down enough to gaze in each others eyes with a connection of souls that cannot be "said", this timeless work captures the "look" that we are all waiting for. The one that says,"I delight and approve of you".